The Awards nomination period is open every Fall for anyone to submit nominations for individuals, organizations or buildings in the London and Middlesex area. This year marks a record 19 nominations received. This year’s winners will be announced on the evening of Thursday, February 21st at our 12th annual Gala celebration at the historic Delta Armouries Hotel in the heart of downtown London. The ACO London Heritage Scholarship recipient and London property owners receiving heritage designation plaques will also be recognized at this event. ACO London and HLF thank this year’s sponsors including Creative Property Developments, Medallion Corporation, Nicholson Sheffield Architects, and Polishuk Camman & Steele for their support in making the Awards Gala a continued success. Media are invited to attend this flagship community event. Nominees, Committee members, and Board members will be available for photographs/video and interviews. Architectural Conservancy Ontario – London Region (ACO London) is a volunteer-driven advocacy organization founded over 50 years ago with the threatened destruction of London’s original financial buildings, the Ridout Street Complex, now a National Historic Site. ACO London is committed to conserving London’s heritage architecture through advocacy and education. We support and encourage architectural conservation through reuse and repurposing of older buildings, the creation of Heritage Conservation Districts to protect our historic neighbourhoods, and the active retention and maintenance of London’s unique history as embodied by its built heritage. 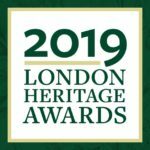 Heritage London Foundation (HLF) is an innovative charitable organization founded in 1981 that advocates for the preservation of significant heritage properties. Created when the wrecker’s ball was rapidly destroying many of London’s architectural treasures, Heritage London Foundation now provides viable contemporary uses for two beautiful properties, the Elsie Perrin Williams Estate and Grosvenor Lodge.